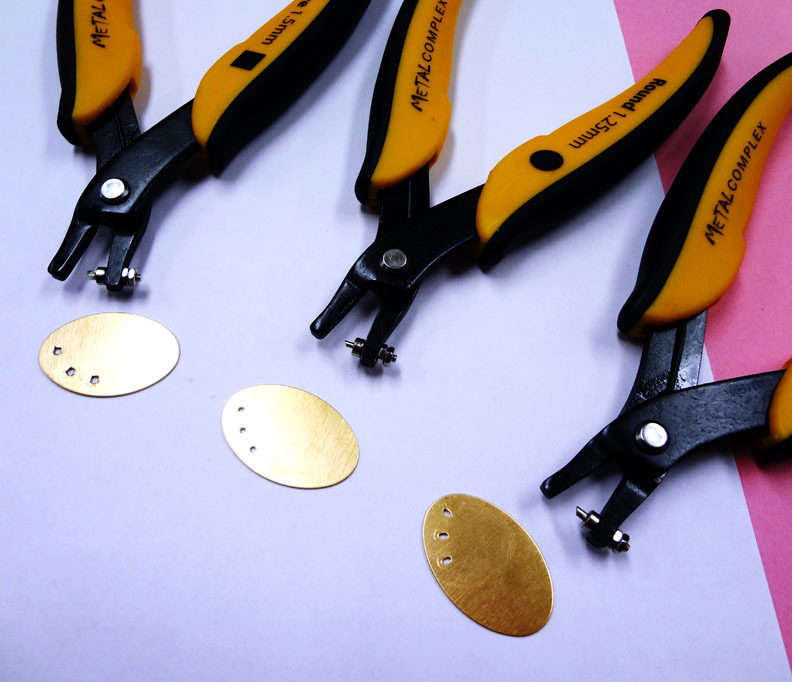 Metal Punches – Square, Oval and Circles! The Metal Complex Tool Section has just expanded! Let me introduce you to the new metal punches! (one of four not shown) They are made of carbon steel and the ergonomically designed handle is crafted for durability and comfort. 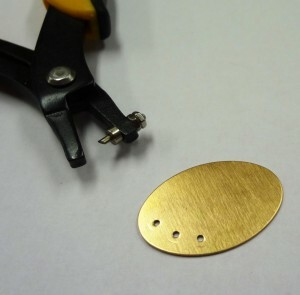 There is a square punch – it makes these cool 1.5 mm shaped punches. There is a 1.7 oval! Isn’t this shape fantastic? Finally, there are two circle punches 1.25 and 1.8 mm. These tools easily punch through copper, silver and brass 24 gauge metal. Each Metal Complex Punch Pro comes with and extra pin set, so it you do a lot of punching and wear out your shaped tips, you can replace them. You can even buy the extra tips individually packed. My samples were made using Metal Complex copper blanks. 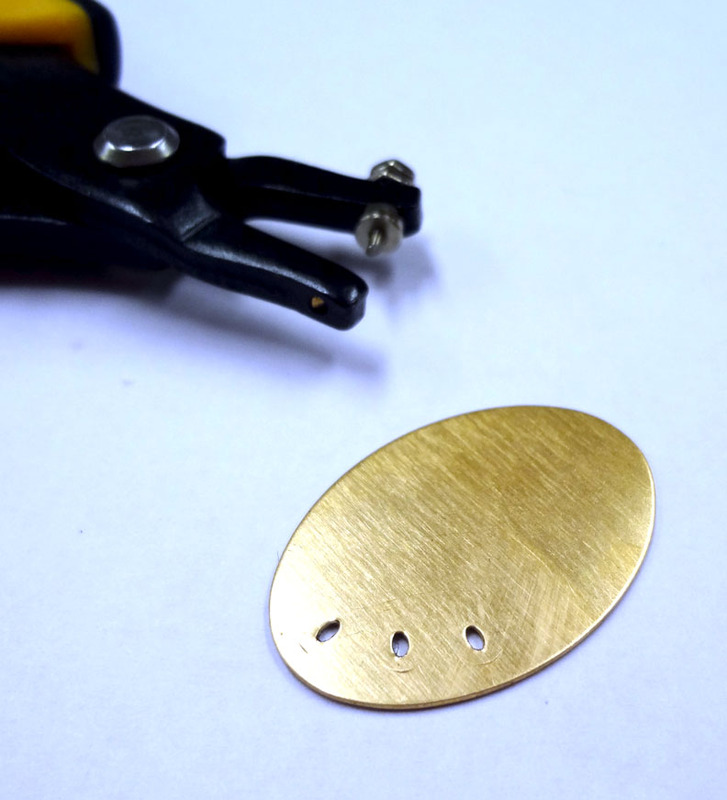 Have you seen the dozens of shapes and sizes in the metal blank section? The choices are endless. To make my samples, I simply held my pliers horizontally and applied pressure to punch my hole. It was very easy. The back of the blank was virtually clean, but I will take a little sander to the back to make sure their are no metal burs. 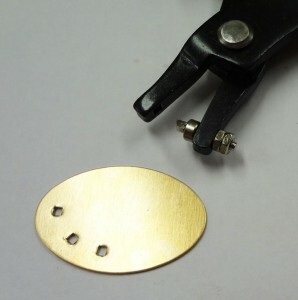 Now that I have tested the punches I plan to make a sample using the punches and metal stamp alphabets! Stay tuned! Next Next post: Metal Punch Pin!